As we kick off Earth Month, let us take the time to review sustainability. The word is used a lot nowadays so we are going to recap what it means and some of the Sustainable Living programs we are hosting for Earth Day! We only have one Earth, it is our responsibility to protect it. 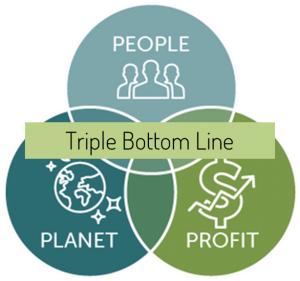 The Triple Bottom Line is where the three areas meet. Environmental sustainability involves the natural and physical works including wildlife, water, agriculture, waste management, and infrastructure. Social sustainability is about equality, democracy, food access, and volunteerism. And economic sustainability is about a healthy economy, sustainable investments, and your own personal finances. Sustainability is a journey and every journey is a learning experience. UF/IFAS Extension can help support you on your sustainability quest. Earth Month is very busy for us here in the Sustainable Living team. In Largo, we are kicking off our #LargoSustainabilitySeries on April 10th with a free screening of A Fierce Green Fire . The other programs are on May 14th (Managing Your Food Waste) and June 4th (Energy Efficiency). We are also organizing the National Sustainability Summit + National Extension Energy Summit here in Tampa on April 16-19th. Also, if you plan on heading to Earth Day events, look for us! The Sustainable Living Team will be at Stetson University on 4/23, Raymond James on 4/25, and the Greater Palm Harbor YMCA on 4/27. 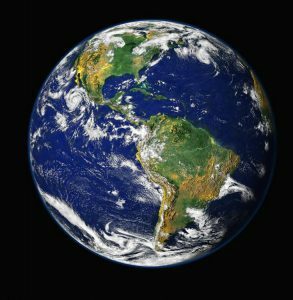 Keep an eye out for Extension at any Earth Day event you attend. ← Register Today for Spring Break Going Camp!